Alexandra Alfandary Antiques Ltd. is a member of BADA, LAPADA and CINOA and are bound by their code of conduct, so that antique Meissen porcelain collectors and dealers can always buy with complete confidence. 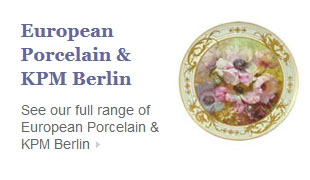 With over 40 years dealing in 19th Century Meissen porcelain and other European porcelain, we have gained a strong following amongst private collectors and dealers from all over the world. We have supplied antique Meissen pieces to Stately Homes and have advised and helped on building fine porcelain collections for the private collector. 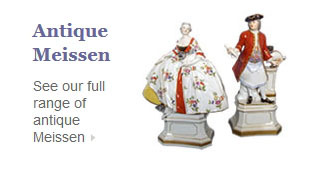 Please note: We do not sell contemporary Meissen porcelain but specialise in the sale of fine 19th century Meissen porcelain and antiques. For any enquiries about our stock please e-mail or telephone us. 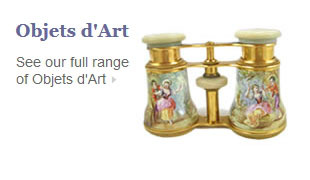 To personally view all our Meissen porcelain and Antiques please come and see us at the Gallery.